His family had traveled to Honduras a few days ahead of their church’s team, combining a family vacation with a mission trip to share the Gospel, reach out to orphans, and build a storm shelter for the local church. 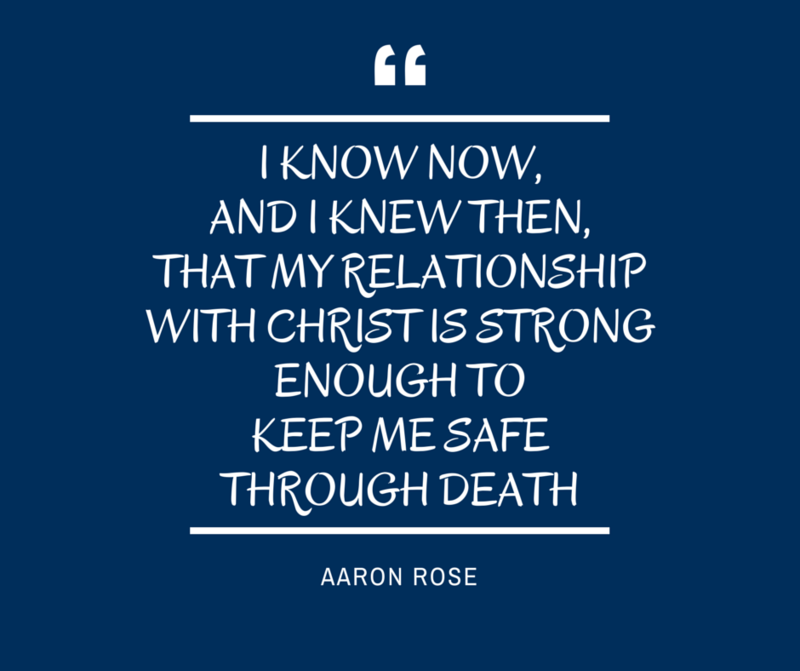 Aaron had just graduated from high school and was looking forward to what God had in store for the next season of his life. As the day began to fade, he took a kayak out into the bay to the same spot his brother and he had paddled the previous day. He went to meet God in the sunset, watching the light settle like liquid gold on the water. When the orange sky began to darken, he turned back toward shore. But this day, the wind had strengthened and the current was a fierce opponent. As an experienced kayaker, he wasn’t concerned until the vessel flipped and the ocean confiscated his paddle. He managed to get back in the boat and tried to yell for help, but the wind stole his words. The current dragged him back around the reef and swung him to the other side. He could see flashing lights from boats just around the corner and reasoned they came from a search-and-rescue team. So close and yet so far away. As the darkness closed in, he drifted farther and farther away from the island and his family. Back on the island the family marshaled their forces using social media. Facebook carried the news of the son who was lost, and the bits and bytes crisscrossed the world, as those who knew the family–and even more who didn’t–dropped to their knees to pray. Back home, their church flung open the doors to the sanctuary and members began to fast, interceding for Aaron and pleading with God for a miracle. Out on the ocean, the black of the night slowly smothered Aaron and terror began to set in. 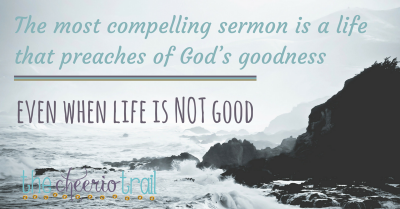 He yelled at God, wondering if He was listening. But the panic was short-lived as his faith fought its way back to the surface. He resolutely determined that if this was the end of his life, he wanted to go out with an attitude of worship, no matter the situation. He began to sing “Amazing Grace,” and almost immediately experienced the peace that passes all understanding. Realizing the situation was completely out of his control, he knew the only thing he could do was trust God. He called to mind Paul’s words, “For me, to live is Christ and to die is gain.” But he wasn’t ready to be done and he begged God for another chance. At times, the kayak braved 15-foot waves. The blisters on his hands told the story of how he clung to the vessel and held on to hope during the coldest, darkest night of life. The waves eventually calmed, with timing that synced to the specific prayers for heaven to rein in earth on this matter. As morning began to dawn, the sunrise put the sunset to shame and he could see a faint smudge of land in several directions. And then it happened. The most beautiful sound. The drone of an airplane circling the waters, searching for him. Four times the plane appeared on the horizon and four times it disappeared into the distance. Aaron yelled and waved his arms to no avail. 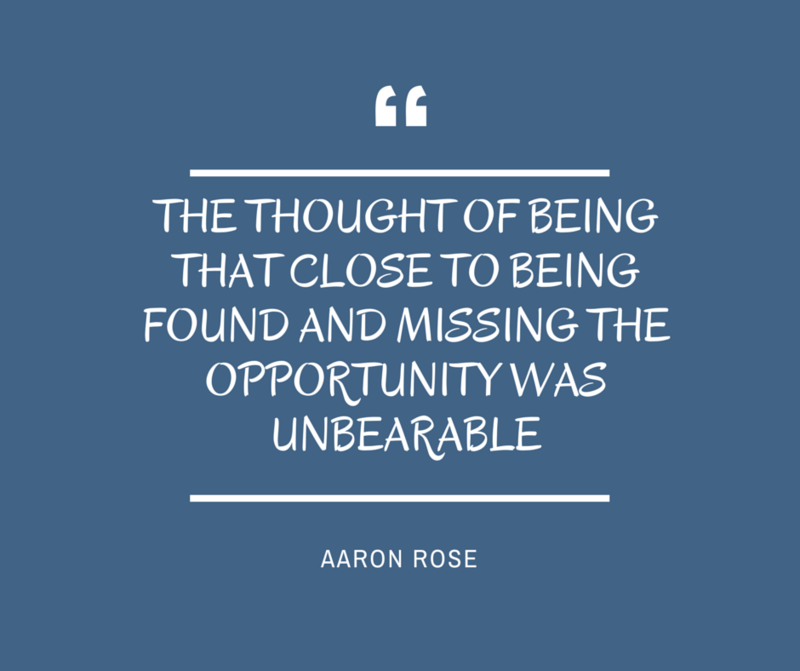 The thought of being that close to being found and missing the opportunity was unbearable. And with each time the plane came and went, he thought that it could be the last one he saw. Back out on the water, the plane was circling a fifth time, a helicopter was summoned, and Aaron broke down in tears for the first time. Later, as they began to piece together the events, the authorities estimated Aaron had drifted 40-50 miles during those 15 hours. Six other times, this kind of drama had turned into a tragedy. 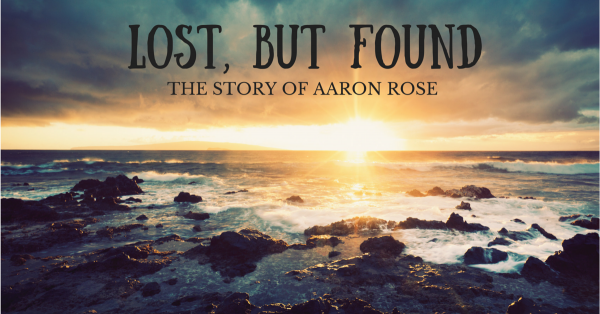 Aaron was the first to be found and brought back after drifting away from this island. Those who knew of the family’s plans to join the mission team asked if they would stay in Honduras or come back home. They stayed. They led worship the following Sunday and praised like never before. I’m mesmerized by so many aspects of this story: the miracle, the power of prayer, the family’s faith, and Aaron’s witness of the God who stayed with him through the night. I’m also struck by the juxtaposition. 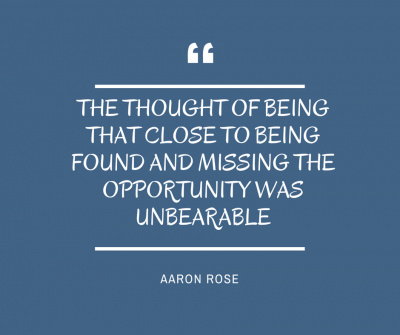 Aaron went to serve the lost and discovered what it means to be found. The parents went to tend to the orphans and spent hours wondering if they would ever hold their own child again. The family went to minister, but ended up being ministered to by a world of fellow believers through the bond of prayer. where he experienced God’s hand. We are tempted to gloss over that part of the call. As we lift our hands to heaven and feel the warm glow on our face, we pledge to follow and ask to lead, requesting an assignment and ministry. “I’m in the Lord’s army,” as the child’s Sunday School song goes. But being in the army requires time in boot camp. And for a Christian offering his service to Christ, the trials and valleys and dark nights of the soul are his preparation. In boot camp, boys become soldiers. Through fiery ordeals, Christians become witnesses. 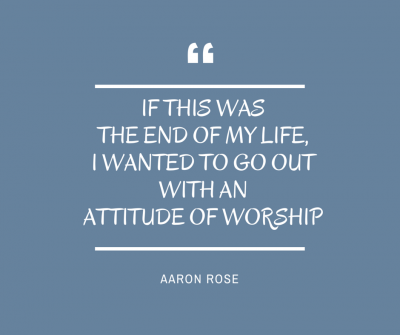 Aaron’s own words speak to a desire to be shaped and used by God. For someone who has a heart to go seek the lost, I cannot imagine a more profound footing than this. “Being found was one of the most incredible moments of my life,” he stated. He now knows what it is like to be so close to being rescued–to see the lights in the distance–and yet be left in the dark. But it produced a testimony and it turned a young man into a witness. The most compelling sermon is a life that preaches of God’s goodness, even when life is NOT good. 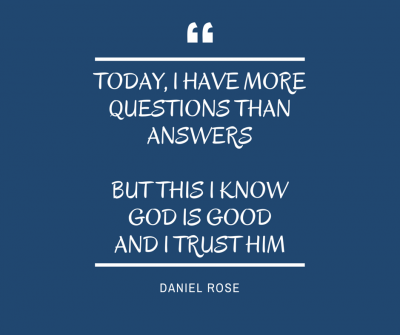 2) Even when you have more questions than answers, God is still good. When stories like this turn out with the ending the world is hoping for, the natural response is to celebrate God’s faithfulness and proclaim His goodness. But there won’t always be a helicopter. And God is still good. And God is still faithful. When 15-foot breakers roll into our lives, and everything else is beyond our control, we are still in charge of our own response to the storm. And if these are indeed the waves that will take us under never to return, then may we go out with an attitude of worship. 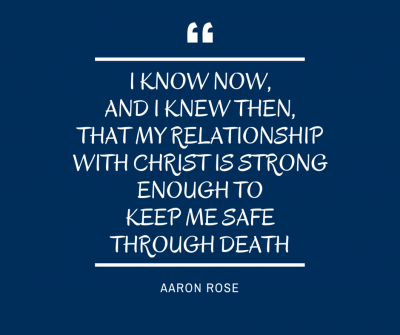 The words of his parents, even before Aaron was found, proclaimed an unwavering faith in the God of the universe who was worthy to be trusted. 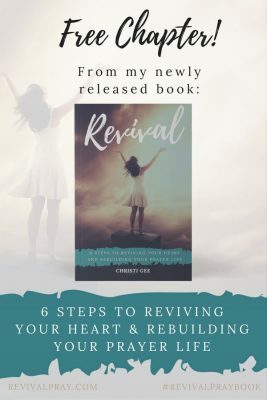 Whether you are currently in the middle of the storm or standing on the shore basking in the sun’s glow, I challenge you to stop and let the message of this story settle into your soul. Decide now how you will respond. Proclaim what you know to be true and remind yourself that you serve an unchanging God who is never undone and never out of options. Note: Aaron’s story is used by his permission. Praise God for all his blessing. Thankful for you and your family. Thank you for all the ways you spread love and encouragement our way. Amazing story & powerful testament to his faith in & love for our wondefull all powerful saving God. I was one of the thousands who prayed for his safe return. Privileged to hear from a prayer warrior for this family. Thank you for being here. Yes, I too have been deeply inspired by all that God has accomplished through this family and their story. Thank you again for letting me know it touched you as well. Your words are a treasure. Thank you, Linda, for taking time to let me know this resonated with you. It is indeed a powerful story and a challenge to us as well. Blessings back! Wow. What I’m sitting here thinking about is how we don’t know when God is writing a story that will encourage others, build our own faith, and be documented as a testimony to God’s faithfulness. It’s important for me to remember, God’s always at work writing these miraculous stories, even when we can’t see them yet. Thanks for linking up at #ThreeWordWednesday. I love your affirmation that it is important to always remember that God.Is.Working… even when we can’t see or understand. There are multiple scenarios on my prayer list where I need to keep this truth first and foremost. Thanks for taking the time to comment! Thank you for stopping by. I’m so glad you found this uplifting. I agree that we need more of this kind of story in our lives! Oh wow I can’t imagine being him or his parents! What an amazing story of faith! Oh my goodness – I am sitting on the edge of my seat! Not just from the story, but from your take-away! 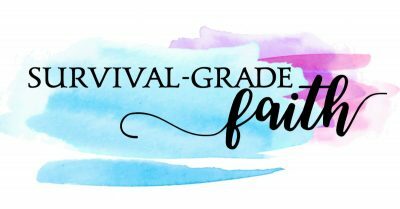 I’ve always been so impressed by Job when he heard of the loss of his family and flocks – basically everything but his life – he fell on his knees and praised God. Amazing! Of course none of us want to be tested or go through trials, but we do and we will. How will we choose? Oh God! Help us to pray for You! Thank you Janet. Yes, it was a story that captivated my attention as well. My mind went to Job and “I have heard, but now I see,” when I was contemplating the depth of this. Thank you for sharing here! Amen Christi! What beautiful encouragement. You really gleaned power from this story. 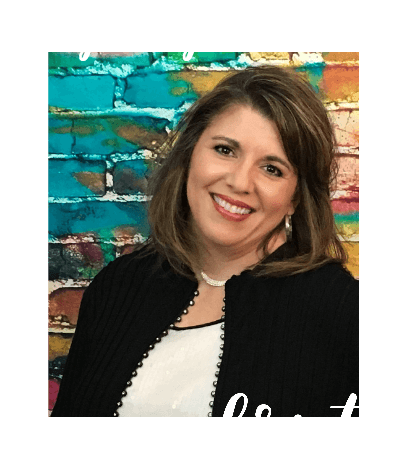 I loved reading it and I am thankful to be your neighbor on Holley’s linkup today.